The Arterritory.com organized exhibition Dreams and Dramas, which will take place October 7 to November 5 at the forthcoming ZUZEUM Art Centre, is the largest-ever presentation of Israeli art in the Baltics. Every single work by the 14 artists featured lays open a political or societal aspect of today’s Israel, thereby exposing the raw nerves of this conflicted country. Together with the exhibition’s curator, Roy Brand, Arterritory.com has prepared a highlight guide to the exhibition that underscores seven of the featured works that are especially infused with both conceptual and emotional power. We invite you to experience such intriguing pieces as: a wedding gown that has been submerged in the Dead Sea until it grows a crust of salt crystals; a life-size rhinoceros presented as part self-portrait, part symbolic embodiment of political indolence; a re-imagined drawing of an Ancient Greek opium goddess; a video work in which a muezzin’s ritual singing is answered with an electric guitar; a video of synthesized body language based on the crucifixion of Jesus and Botticelli’s Birth of Venus… and more. Sadly under-recognized in her lifetime, Noa Eshkol has come to the forefront in recent years as a pioneer of modernism in dance. Born in 1924 in Kibbutz Degania Bet, Eshkol trained in England at Laban’s Art of Movement Studio and at the Sigurd Leeder School of Modern Dance. Together with architect Avraham Wachman, she created the Eshkol-Wachman movement notation system, used today in many fields including dance, physical therapy, animal behavior, and early diagnosis of autism. Eshkol founded The Chamber Dance Group in 1954, which continues to this day to perform the compositions she developed through her movement notation system. During the 1973 Yom Kippur War, while some of her dancers were sent to the war front, Eshkol began creating joyously colorful wall carpets. She described this activity as the perfect antithesis to her highly-planned, structural and ascetic dance practice: “No Rules, No Theory – Only Passion.” Yet she did set for herself several important creative constraints: she only used discarded pieces of fabric and clothes; she forbid herself from using scissors for cutting (only for unstitching); and she let her dancers sew together the final compositions. The wall carpets’ intricate montage of predetermined shapes and colors, together with their collective making process and strong bodily presence, uniquely resonate with Eshkol’s movement practice, and posit a fascinating relationship between traditional crafts, modernism and dance. 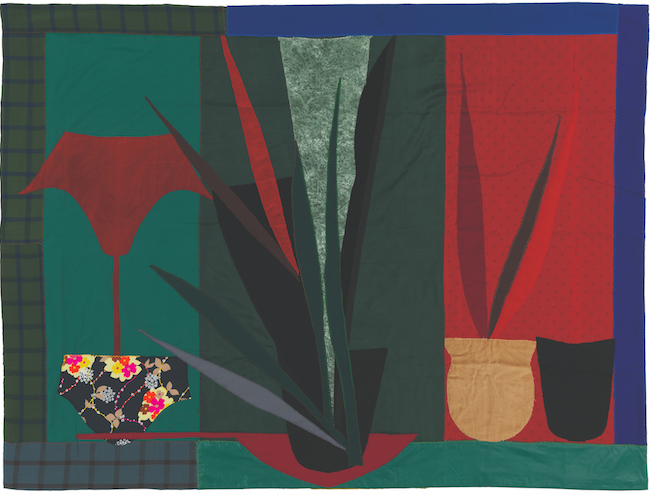 Interior III (In Memoriam), one of two wall carpets on display in Dreams and Dramas, was Eshkol’s last completed work before her death in 2007. Daniel Kiczales, a musician and visual artist, has long been fascinated by the highly-charged view from Mount Scopus, the Jerusalem hill that hosts both Hebrew University and the Bezalel Academy of Arts and Design where he studied; the Palestinian village of Al-Issawiya sprawls at the foot of the hill, while the Judean Desert and the Dead Sea are discernible in the distance. In his beautifully seductive video The Messenger, Kiczales stands overlooking the village and uses his electric guitar to respond to the Muslim calls to prayer, interweaving his own musical performance with the muezzin’s ritual singing. The two musical traditions, Western and Oriental, come into an unexpected and emotionally-charged dialogue while the sun progressively sets in the background, following the rhythm of the five daily prayers. Notions of Western romanticism, colonialism, and cultural appropriation invariably come to mind; but also, viewers are led to consider the unifying power of music and the overarching dominance of nature over any of our social, political or religious particularities as human beings. For many years now, Yehudit Sasportas has been regularly visiting a swamp in the north of Germany – a desolate natural landscape whose powerful energy has kept inspiring her practice. 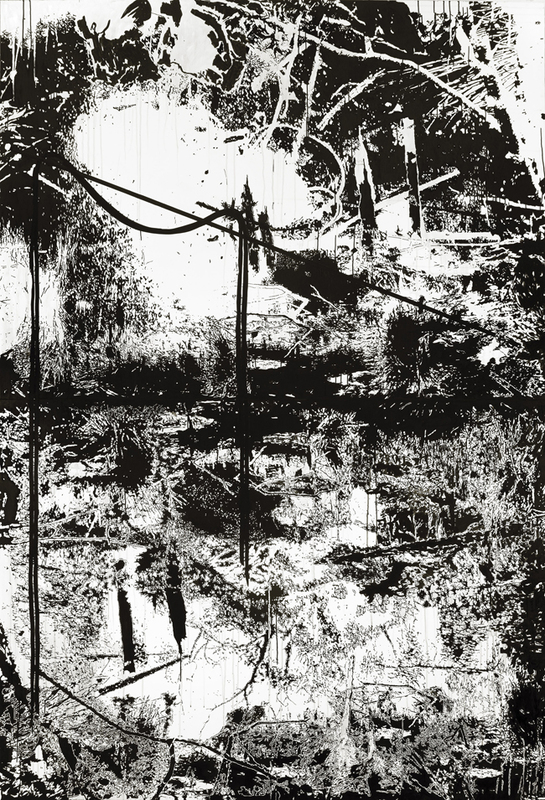 To her, the swamp embodies an unprocessed part of nature, partly rejected, which has not undergone cultural integration; on the other hand, it is a vital source of life regeneration, figuring prominently in our collective unconscious myths. She often collects pieces of material from the swamp, brings them back to her studio, and arranges them into installations that feed into her work. Previously Sasportas had spent years making sound recordings of conversations between her family and relatives, working on ways to transform this highly private and emotionally-charged dynamic into something that could be communicated to the outside and find its place in the public sphere. She translated these sound recordings into rhythms and visual graphs which she then integrated into her work. Sasportas’ paintings, drawings and installations are thus “mental landscapes” which delve deep into subconscious territories and offer the viewer an intense sensory experience. Sagit Mezamer is a visual artist and curator with an undergraduate degree in Clinical Psychology. She usually starts her investigations from a specific historical place or fact, from which she extracts mythical, psychological, and personal components. Lately, she has been interested in mapping the history of opiates throughout the Middle-East, which she traces back to the region of Israel/Palestine. 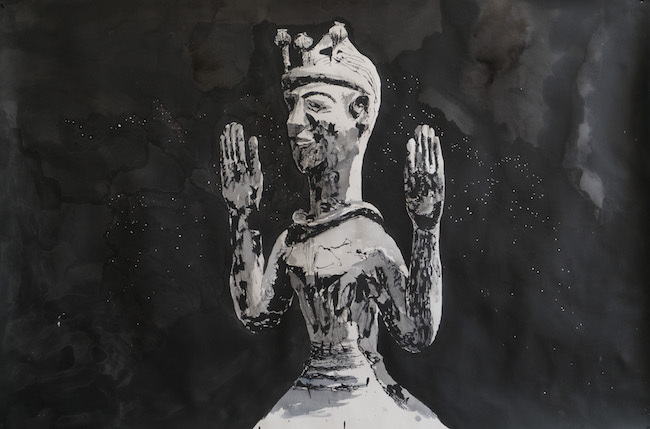 In the series of ink drawings presented at Dreams and Dramas, she looks at depictions of opium and raises questions about the linearity of history and the legitimacy of alternative, drug-induced, psychotically-altered versions of history. In her video Nomina, the video and performance artist Keren Yeala Golan reenacts the iconic body language derived from both the traditional position of the Christ on the cross, and depictions of Venus in her seashell. She is filmed on the beach, entering a meditative-ecstatic state: as she attempts to bridge together those vastly different mythologies, she also demonstrates the physical difficulty of actually standing with legs partially limp just before the fall. Sigalit Landau, one of Israel’s most internationally successful artists, has nurtured a long-time creative engagement with the Dead Sea, the famous hypersaline lake which borders Israel, Jordan and Palestine. In Dreams and Dramas, visitors will be able to watch one of her breakthrough early works, DeadSee (2005), in which Landau was filmed from a bird-eye’s view, caught inside an unravelling spiral of 500 threaded watermelons floating on the Dead Sea. In this sensual tableau, the artist’s exposed skin and the warm pinks of the open fruits stand in abrasive contrast to the salty floods of green and turquoise hues. 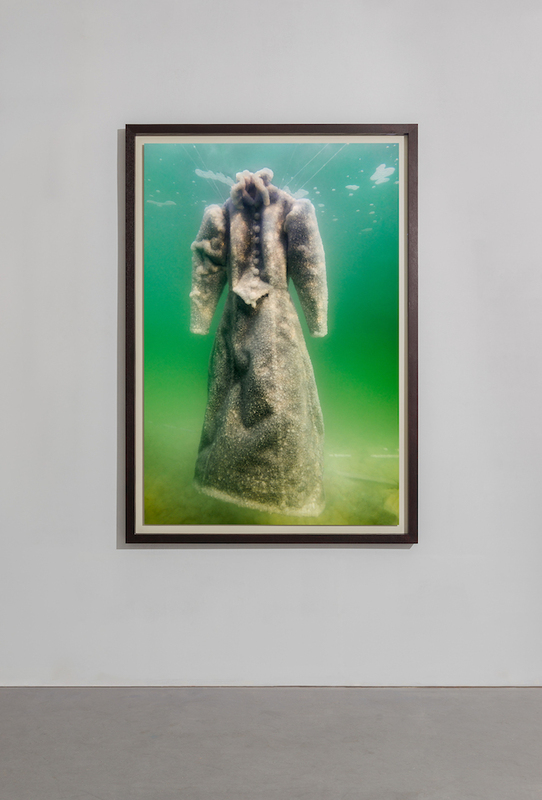 Also on view is a more recent iteration of Landau’s continuous interest in the Dead Sea: for Salt-Crystal Bridal Gown (2014), the artist submerged a traditional long black dress for a period of two months. The three photographs on display capture the stunning chemical process underwent by the dress, encrusted in sparkling-white salt crystals. The dress chosen by Landau is a replica of the 1920s-era garment worn by the main protagonist of the classic Yiddish play The Dybbuk. Its material transformation beautifully mirrors the spiritual metamorphoses undergone by Leah, the play’s young bride who finds herself possessed by a demonic spirit which is eventually exorcised. Guy Zagursky’s Rhinoceros is exactly what it sounds like: a massive sculpture of a life-size rhinoceros lying heavily on its flank, its folds of skin and enormous backside pooling out on the floor like thick lava. Its front paw is cutely folded and its chin is stretched forward on the ground, in a way that would resemble that of a well-behaved resting dog if it wasn’t for the gigantic horn tilting its head sideways. The rhinoceros is sleeping. But is it dreaming? When asked what inspired it, the artist answers that it is partly a self-portrait. He has always felt a childlike fascination for the rhinoceros, and similarly for other colossal animals such as elephants and leviathans. But the rhinoceros, he notes, is in fact an incredibly sensitive and timid animal that will run away upon hearing the slightest noise. If there is something touchingly clumsy about this discrepancy, the rhinoceros also calls to mind much darker forces. In his famous absurdist play, Ionesco turned the rhinoceros into an allegory for the dangers of social conformism: it is by giving up on our individual voice that we, as a society, engender political monsters. In reference to the current Israeli political context, Zagursky sees the sleeping rhinoceros as an embodiment of political inertia. Regarding its biographical context, Zagursky adds that making this sculpture offered him a way of dealing with the traumatic aspects of his military training, which had him serve in the war with Lebanon. Thus the sleeping rhinoceros fills the exhibition space with its colossal silence, much like “the elephant in the room”. Surrounded by other artworks, it becomes the material representation of a collective subconscious. “Or maybe”, Zagursky continues, “the surrounding artworks illustrate what the rhinoceros is dreaming about”.